Winter is finally coming to an end here in Australia, even if it is still a bit cool here in Melbourne, spring is here. 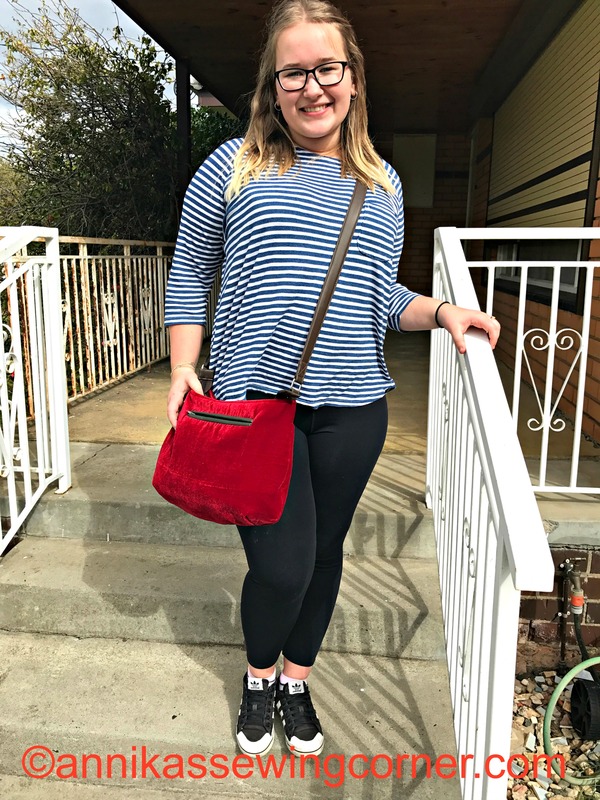 I have designed this cross body bag for my daughter’s best friend Alex, she will be 18 in a couple of weeks and wanted a roomy cross body bag in red velvet for her birthday. It measures 9″ x 13″ x 4″ excluding the strap. 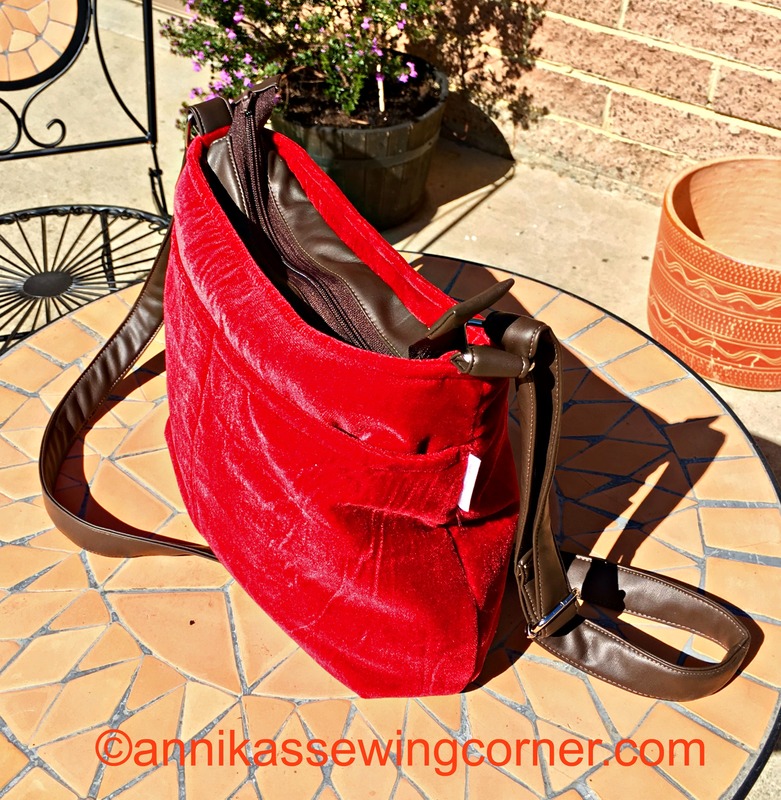 I have made the strap, zipper panel and the edges on the double welt pocket in dark brown pleather. 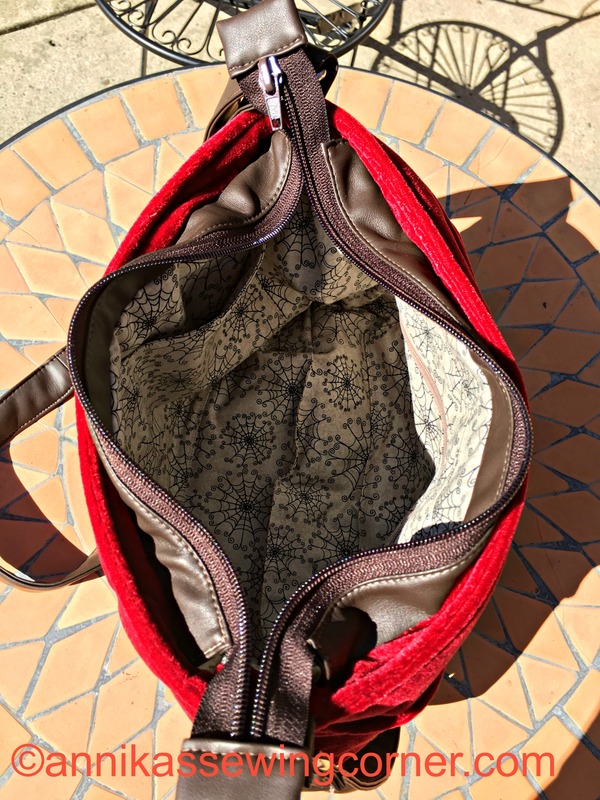 The front of the bag has a pocket across the bag that’s divided into two sections. 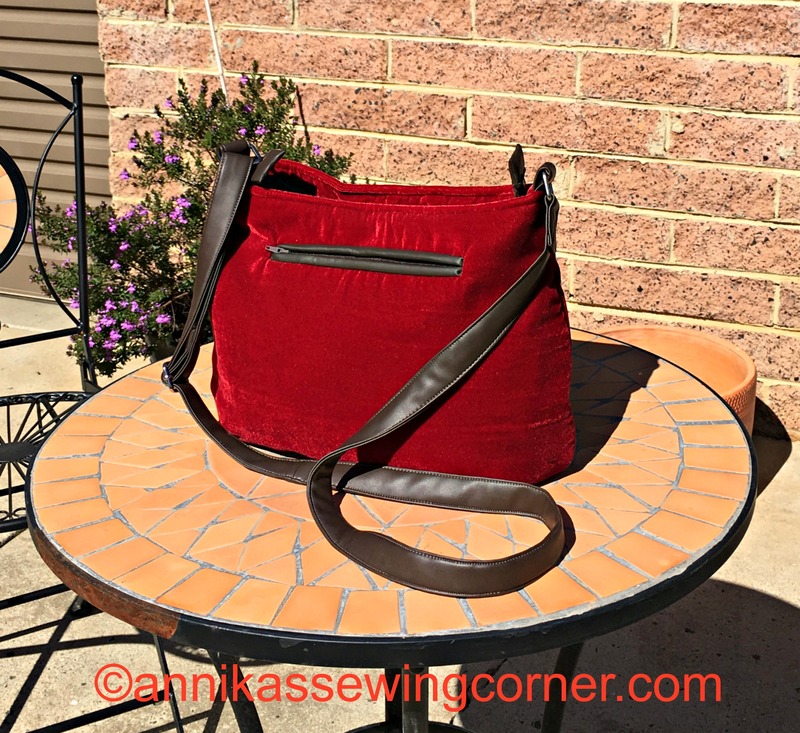 On the back of the bag is the zippered double welt pocket. The zipper panel is recessed and have zipper tabs in both ends. 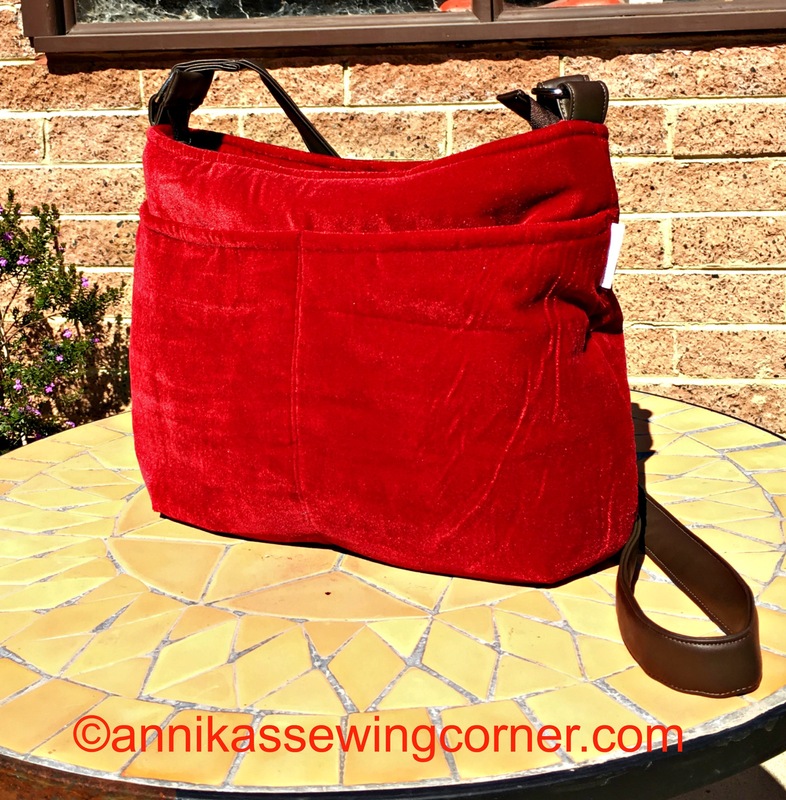 The lining of the bag is made of quilting cotton and has one pocket with a zipper and one without. Usually I use iron on interfacing and iron on fleece, which doesn’t work very well with the velvet since it will melt. So I used 1/8″ thick felt as interlining, it worked very well.